Come 2nd and 3rd of December 2016, the City of Lagos will witness one of the largest international fashion week to have taken place in Nigeria. 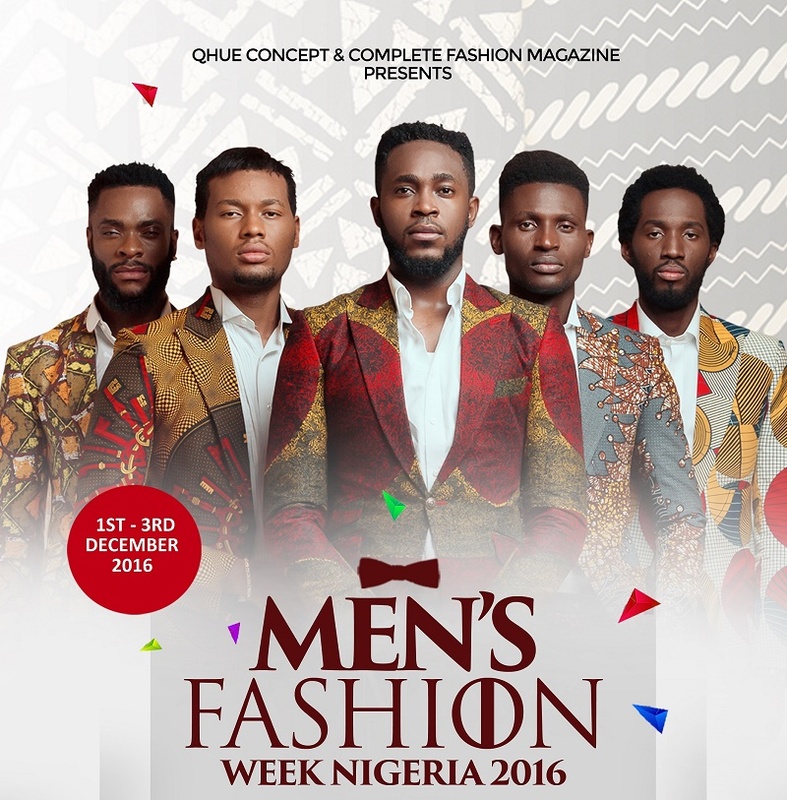 Men’s Fashion Week Nigeria (MFWN) will present 14 acclaimed international designers alongside 18 leading Nigerian designers in Nigeria’s most significant men’s fashion event to date. To be attended by a host of local and international celebrities, VIP guests, and the world’s foremost media, this will be a key milestone in the African fashion history. Marking a key development in Nigeria’s fashion landscape, the International Men’s Fashion Week Nigeria will bring together on one runway the very best designers from around the globe and Nigeria; already confirmed are designers from the U.S.A., Ghana, South Africa, Cameroon, Cote D’Ivoire, and Rwanda. Representing Nigeria, in addition to KamsiTCharles, Big Ben Kilani, UgoMonye, JoePagatanga will be 14 exciting and talented designers; covering the full spectrum of creativity and styles, this will be the most extensive showcase of high-level Nigeria’s fashion talent to have taken place. 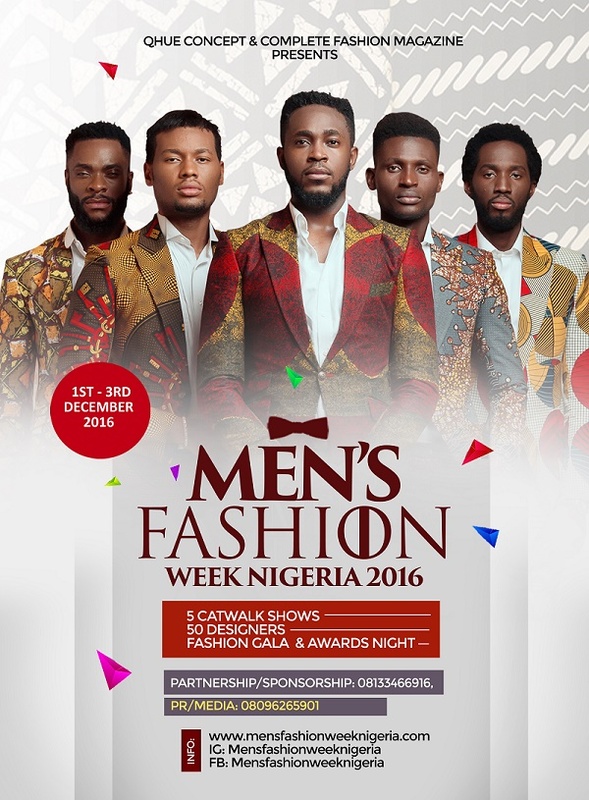 A symbol of Nigeria’s rapid expansion and growth, the international Men’s Fashion Week Nigeria will take place at the newly opened GLITZ Events Center in the Lekki Phase 1. This state of the art development boasts innovative design architecture and inspiring spaces. This resonates with the creative direction of the Men’s Fashion Week Nigeria, which will present designers renowned for their cutting edge, avant-garde, and progressive creations. As such, it will be the perfect venue and backdrop for the week. Established in 2012, Qhue Concepts has rapidly developed and become one of the leading marketing and production companies in Nigeria. Through various media and television markets, Qhue Concepts has widened its network and through strategic partnership produced groundbreaking contents to the Nigerian market. With two big projects: Miss Tourism Nigeria and Mr. Universe Nigeria which are broadcasted annually on some of the largest entertainment channels in Nigeria at primetime, Qhue Concepts is pushing the development of Nigerian fashion industry by finding many talented Nigerian models and designers to join the local and global market.